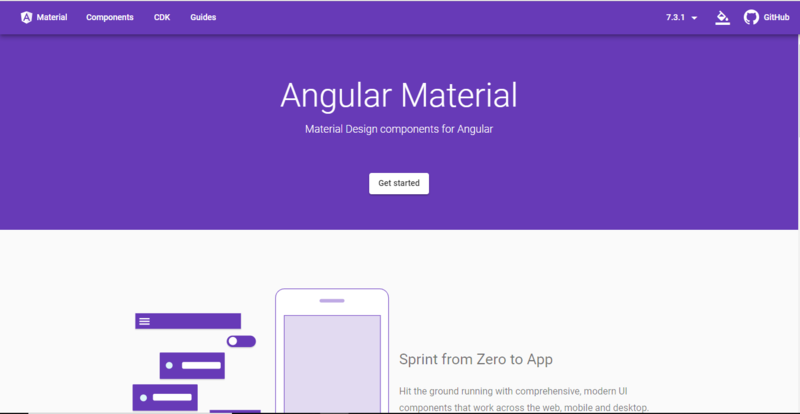 .Angular Materials is a UI component for the Angular JS framework. Angular Material help to create attractive, consistent and functional web pages and also help to create modern web design principles like lightweight, device independence. To create a new fresh angular project run this following command. Here we also install routing and style package. And also import the browser animation module. and also add in imports array. Here we add two modules Button and Checkbox module, add into then import and export and export a class MaterialModule. if we wanna add more component of angular Material we can it's at first line in the material.ts. Angular Material provides us with four themes. Now, all setup is completed we can use a button and checkbox component. if you want more add then into material.ts. Now, go to this link. and see the application. So, finally, we completed tutorial How to Use Angular Material in Angular 7. We install a new Angular 7 project and install the Angular Material package and their dependencies. We use the button and checkbox component of Angular Material.